Let's make Madison Carrotmob the biggest yet! The students and community of Madison want to show support for Fresh Madison Market. 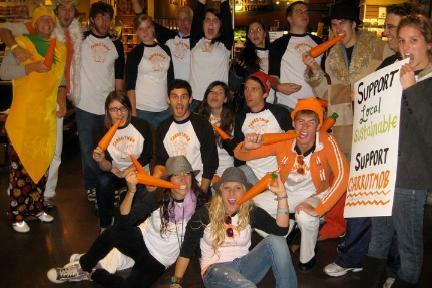 FRESH MADISON MARKET’s Carrotmob was a complete success!! They gave… wait for it… 100% of revenue after their normal Friday sales. How much was that… just over $4,000!!!! WOOOWEEE!! Thanks everybody who came to show support.